The thrill of the Easter egg hunt. Chocolate bunnies. Gathering with family and friends. You're never too old to celebrate the joy of Easter. 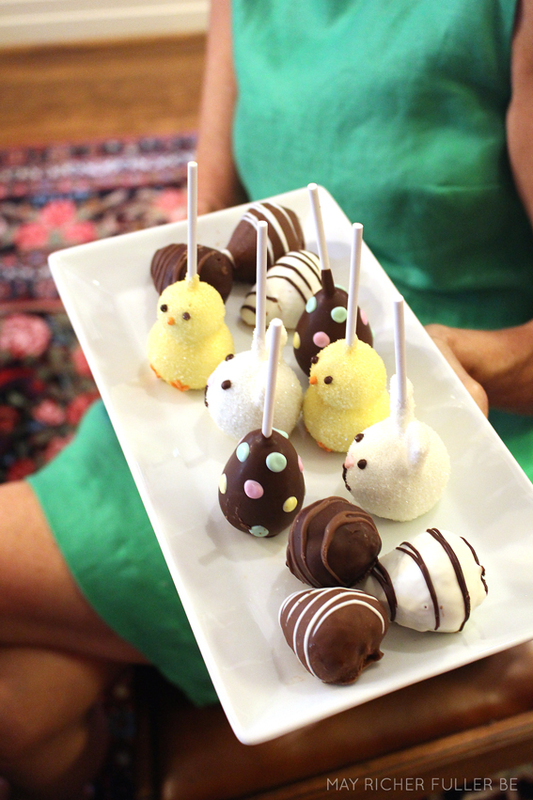 So we decided to share some Easter joy with our favorite bloggers by sending them delicious dipped treats. And they sent some back with these fabulous photos. We love them so much, we just had to share. Julee from warmhotchocolate.com kicked off Easter with these fresh gift ideas. She filled colorful watering cans and painted clay pots with our seasonal cookies. Then she gifted these lovely Spring Garden Baskets to her favorite teachers and neighbors. 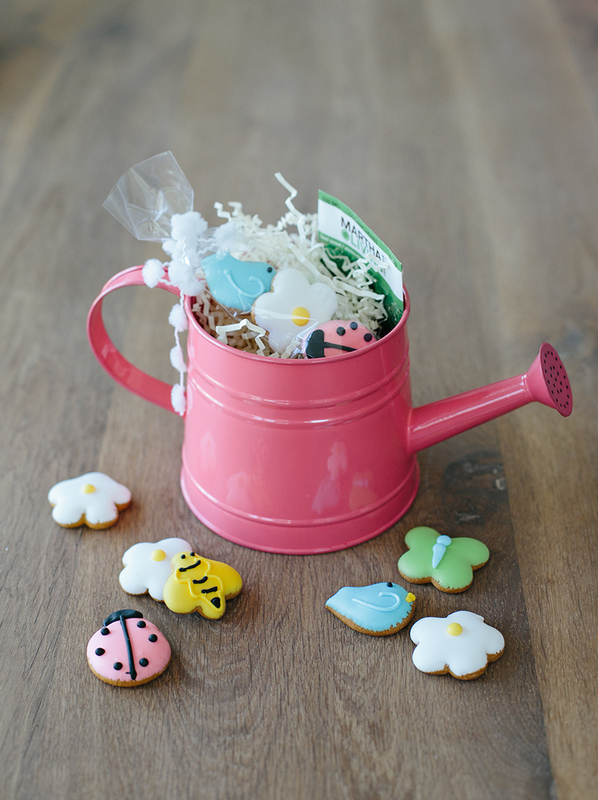 Serendipity Refined blogger Kim used our cookies to make a delicious Easter centerpiece. 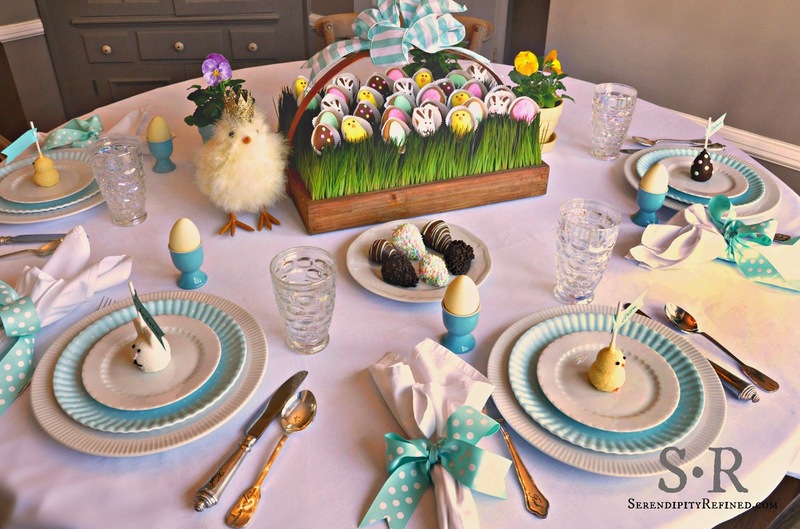 Chicks, bunnies and eggs in soft spring shades set the scene for a beautiful Easter table ready for brunch or dinner. May Richer Fuller Be blogger Chaney and her family celebrated her “favorite holiday of the year” with a sumptuous brunch feast followed by a dessert of our fudgy and adorable chick, bunny and egg brownie pops. Sidewalk Shoes blogger Pam loves chocolate and photography, so we knew she’d be a great fit for our #EasterJoy campaign. A sprig of forsythia, a white picnic table and our Easter brownie pops create a tempting, and joyful, spring table. Ann from sumptuousspoonfuls.com showed us her recipe for the perfect Easter ham. She also knew that our dipped treats make the perfect dessert to go with it. Eve of Reduction blogger Eve upcycled old plastic eggs to create egg holders for her festive Easter tablescape. She finished off her beautiful presentation with some of our bunny brownie pops. For Don’t Quote the Raven blogger Raven, we went the extra mile and sent dipped strawberries and fudgy brownie pops to her grandfather’s house. 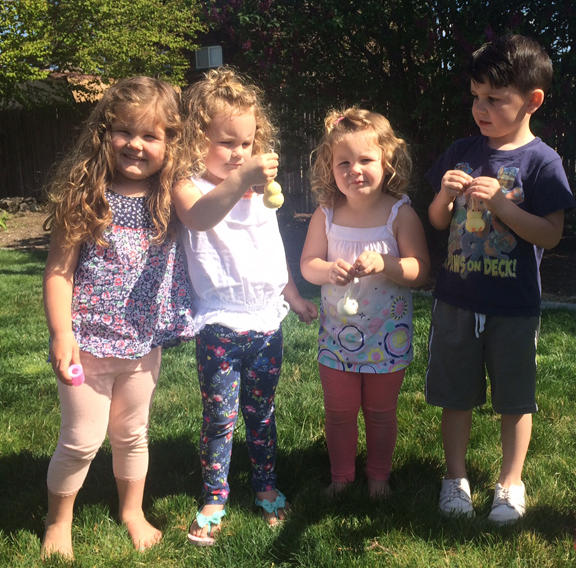 Needless to say, it looks like our Easter brownie pops were a big hit with the kids! So Wonderful So Marvelous blogger Michelle’s Easter brunch looks flawless. From the beautiful tulips to the sweet dipped treats, we wish we had a spread as lovely as this.